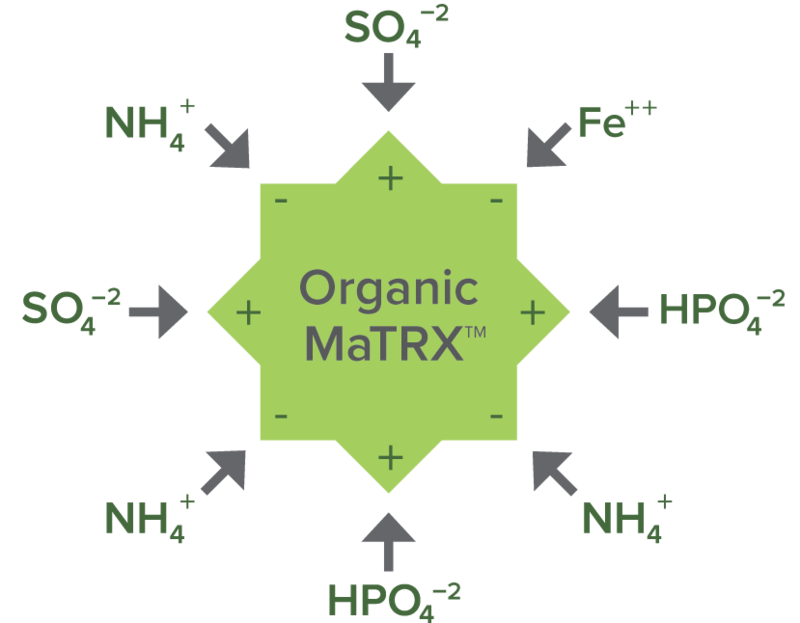 The Organic MaTRX is a natural and intuitive delivery system unlike any other. It is made from combining electrostatically charged (positive and negative) organic particles that provide docking sites for desired nutrients. These substances come in the forms of ions like ammonium (NH4+), potassium (K+), sulfate (SO4-) and ferrous iron (Fe2+), all of which are easily taken up by plants and less susceptible to loss via leaching or volatilization. 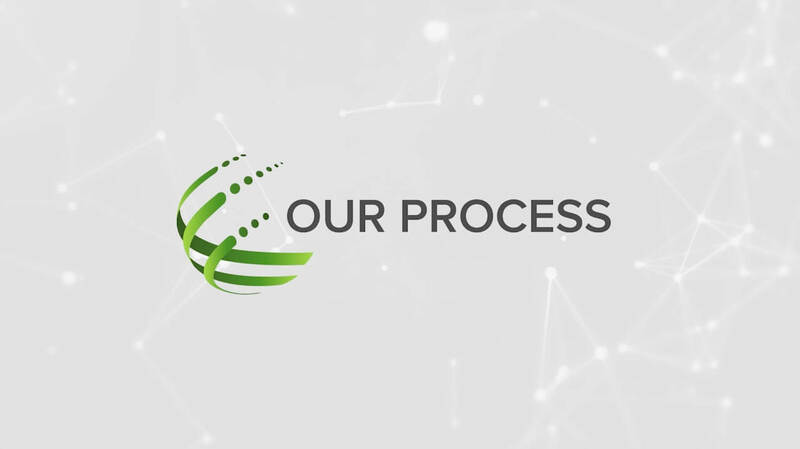 Our manufacturing process is a proprietary seven-step organic resource processing system described in 14 U.S. patents. It is clean, safe, environmentally friendly, and makes use of organic materials that would otherwise be disposed of. By combining proven industry manufacturing techniques with a patented two-stage hydrolysis process, we form the building blocks of novel plant nutrition products with TRX Technology™. The resulting high efficiency plant nutrient products are made up of dry, homogenous granules. Through TRX Technology, it reduces nutrient losses to the environment while increasing nutrient availability for the plant by slowing the release of nutrients for uptake and protecting against leaching and volatilization. Our full line of products for farmers, turf managers and homeowners exceed Exceptional Quality (EQ) standards set by the U.S. Environmental Protection Agency (EPA), and our facilities leave behind only clean air and water as a result of the manufacturing process. 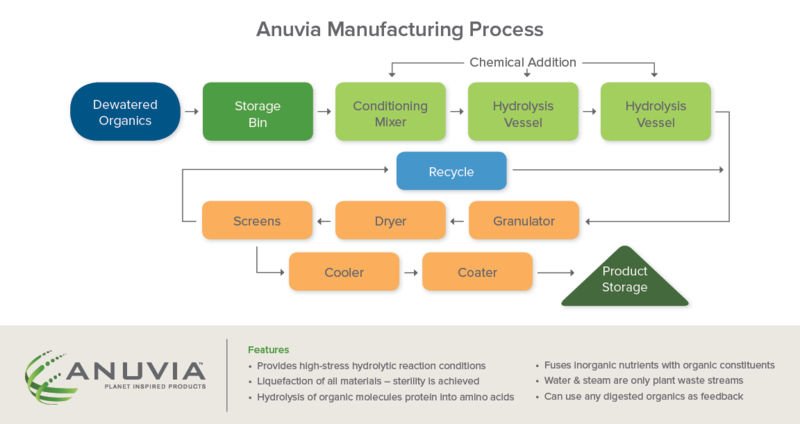 The first commercial Anuvia plant was built in Zellwood, Florida. Anuvia is working on expansion projects in North American and working with International partners to develop and bring this important new technology to other regions of the world. Our business model is to design, build, own and operate plants in locations as close as possible to the source of organic material supply and to important markets.